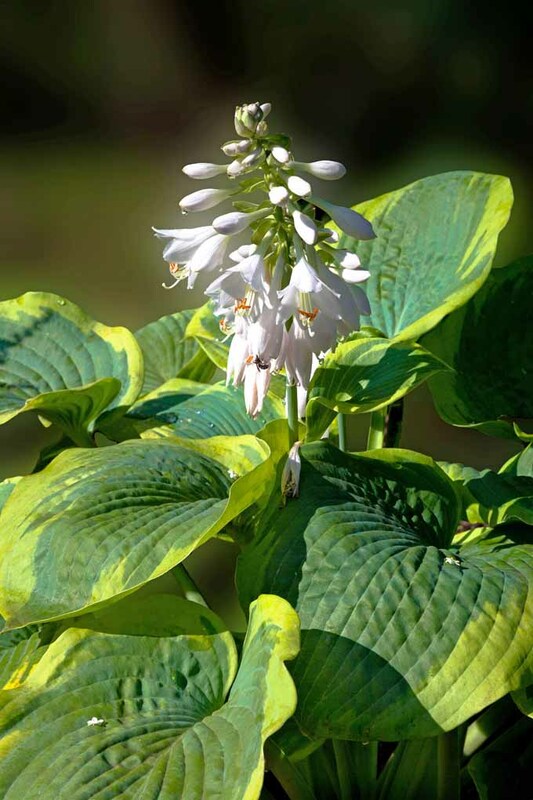 The hosta is one of the most sought after shade perennials on the market today. This herbaceous perennial’s popularity and vast amounts of cultivars almost rival that of the daylily. Part of the hosta’s popularity is its ability to really stand out in the shade during the entire growing season. The perennial is grown mainly for its stunning foliage in shades of green, blue, white and gold in solid and variegated varieties. 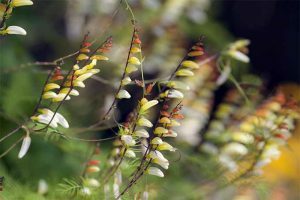 Although it’s best known for beautiful leaves, it also blooms in the summer. 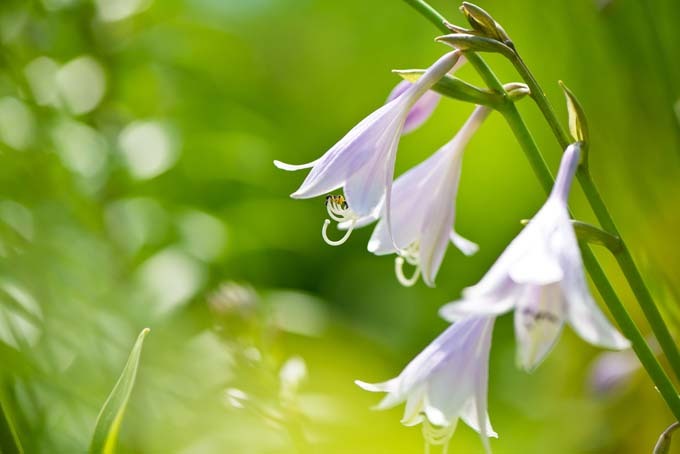 Tall flower spikes rise above the foliage in shades of lavender and white. The flowers are actually quite pretty, even though they don’t get as much recognition as the hosta foliage. 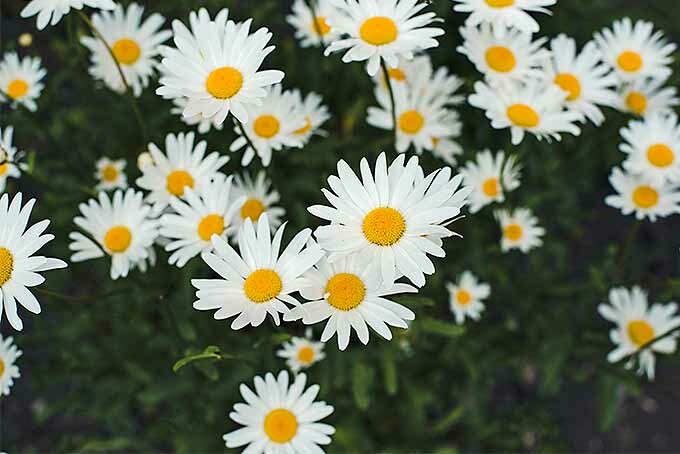 The flowers are especially noticeable when a particular cultivar is planted in mass groupings. Several of the varieties also have very fragrant blooms as an added bonus. 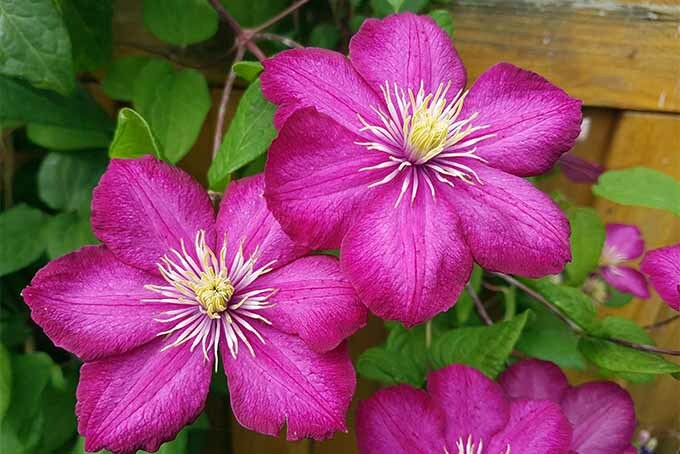 Growers are working to breed new cultivars with larger and more attractive flowers. Although the hosta can tolerate some sun, most all of the cultivars require a certain amount of shade, especially from the hot afternoon sun. The summer climate varies quite a lot from the northern and southern parts of the United States. This should be taken into consideration when choosing the location. The plant actually suffers more from the extreme heat of southern zones and therefore needs more shade and water. Examples will be more tolerant of sun when grown in the northern zones. The foliage on the hosta is very reminiscent of tropical foliage, but this perennial is far from being tropical. In fact, one of the plants’s main requirements is a period of dormancy during the winter months. This dormancy period can’t occur in the most southern zones of semitropical regions. 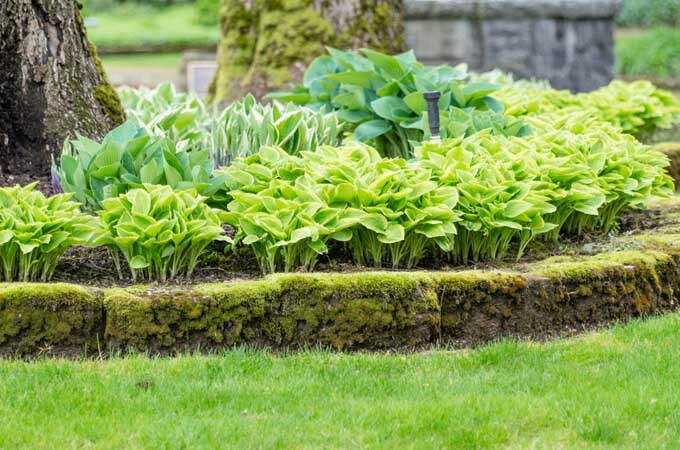 For this reason the hosta is classified as hardy from Zones 2 to 7 on the USDA Zone map in most publications, and it is sometimes listed as hardy to Zone 8 in others. The leaf size and texture can vary among the many hosta cultivars available. 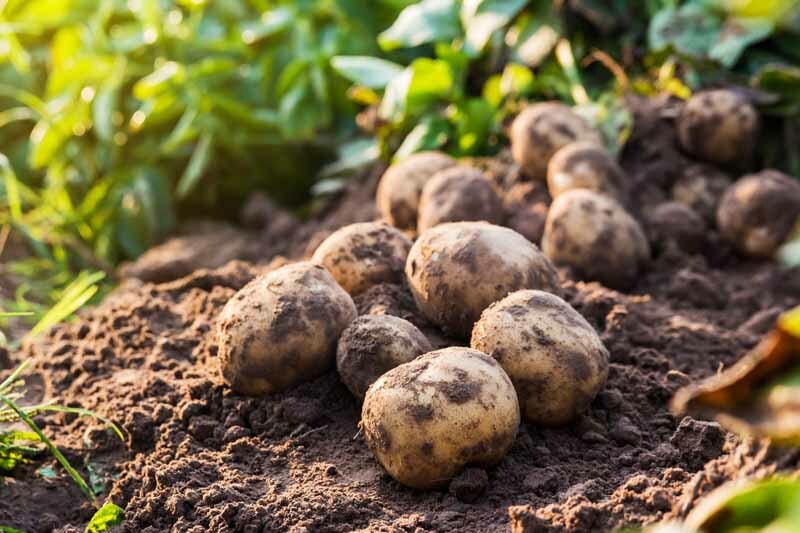 There are dwarf varieties with leaves only about 1 inch wide while others have leaves that are more than 15 inches wide. The leaf texture can be smooth or heavy crinkled much like seersucker fabric. The variegated color patterns on the leaves are numerous as well. With so many beautiful cultivars to choose from, it’s easy to see why so many gardeners become fascinated with these shade-loving perennials. The plant is not only popular with home gardeners but also by industry professionals. The nursery business and landscapers love the hosta’s ability to thrive instead of just survive the shade. 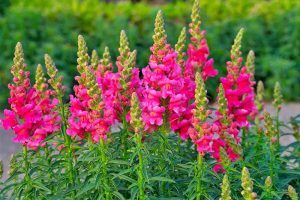 For this reason, it’s listed as one of the top selling perennials in American nurseries. Many retail nurseries are beginning to carry a larger selection of hosta cultivars. There are more than three thousand cultivars to choose from, so the largest selections will be from mail-order nurseries. The hosta is native to China, Japan and Korea and was imported to the United States in the 1800s. It was primarily in the US and to some extant the UK that many new cultivars have been developed and propagated by tissue culture. 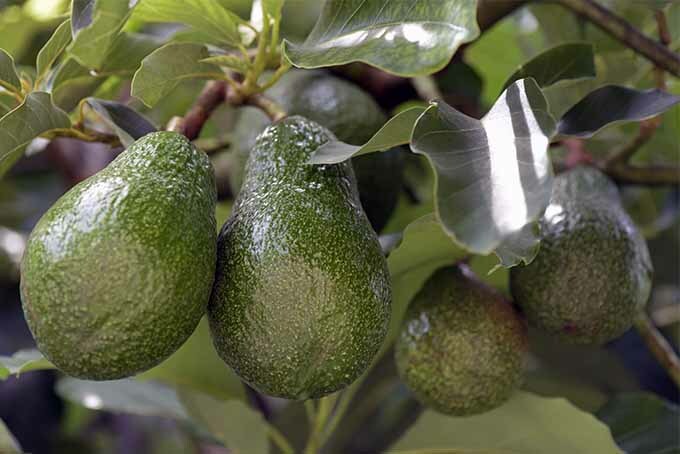 New cultivars can be introduced to the plant market in a fairly short amount of time. 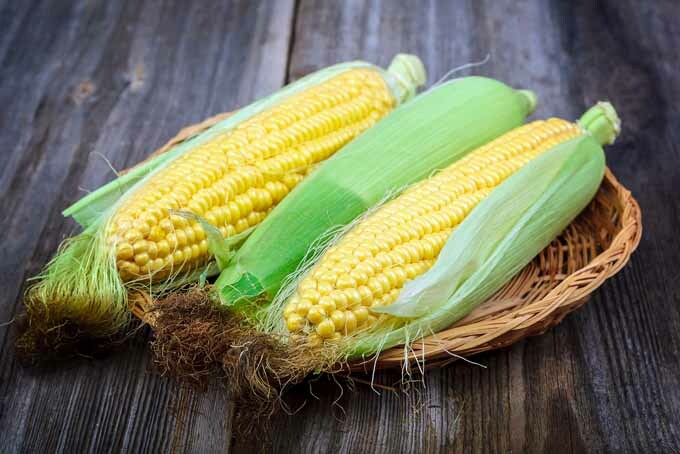 When a hybridizer develops a new cultivar worthy of promotion, it can be in nurseries in as little as two years. Since hosta flourishes in shade, the usual planting location is under trees. The only problem with this is competition with surface roots of large shade trees. Sometimes the tree roots can deplete all of the water and nutrients from the soil. This makes growing plants directly on the root zone difficult. Just place the pants far enough away from the surface roots to not compromise its health. 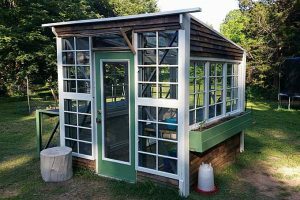 Another alternative is to raise the soil surface in much the same way as you would with raised-bed gardening. Hosta is the ideal plant companion for spring bulbs such as daffodils. They begin emerging at about the same time. The hosta’s leaves will help to hide the bulbs foliage when it becomes unsightly after blooming. As gardeners all know, the leaves of spring bulbs can’t be cut back but instead must be camouflaged. 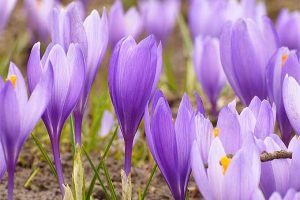 Planting larger varieties will work especially well to hide the bulbs’ withering leaves. 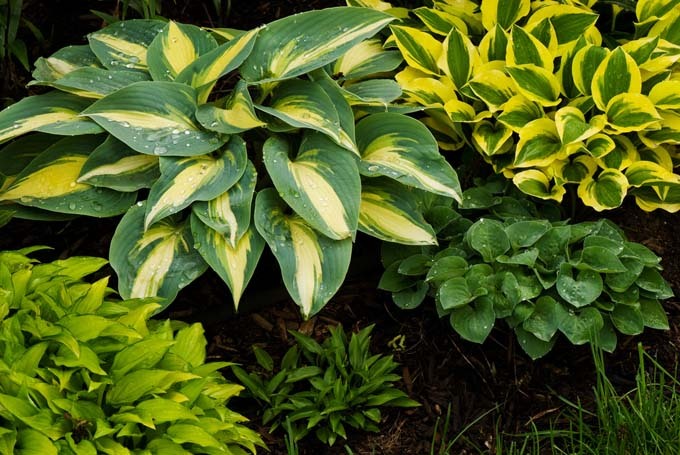 Hostas also do well in a foundation planting with other perennials and shrubs as long as they are sheltered from the afternoon sun in the south. This perennial also looks fantastic in containers. This planting method allows for their location to be changed as often as desired. They may need extra protection to overwinter in the cold northern zones. The size of the plant can vary quite a lot. 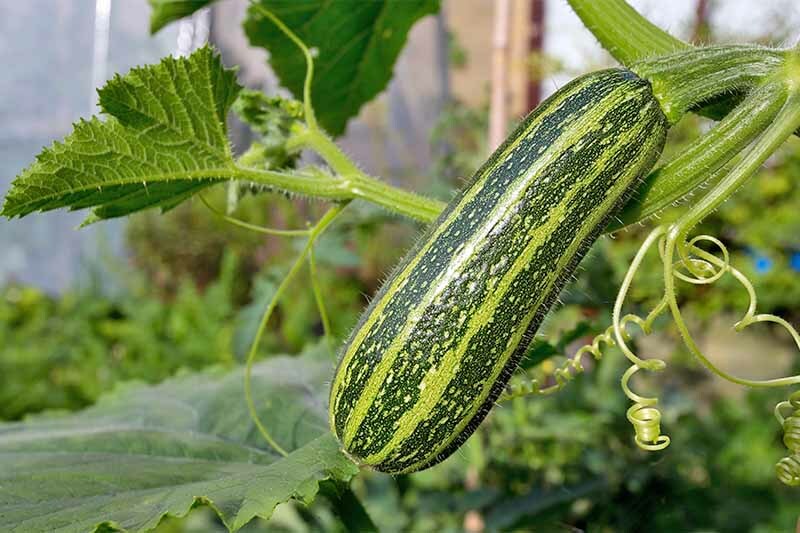 It’s important to know the size of the cultivar to give it enough room in the garden. It’s easy to make a mistake when planting a new unfamiliar hosta and being forced to move it very soon, as has been my personal experience. The plant will continue getting larger the first few years. 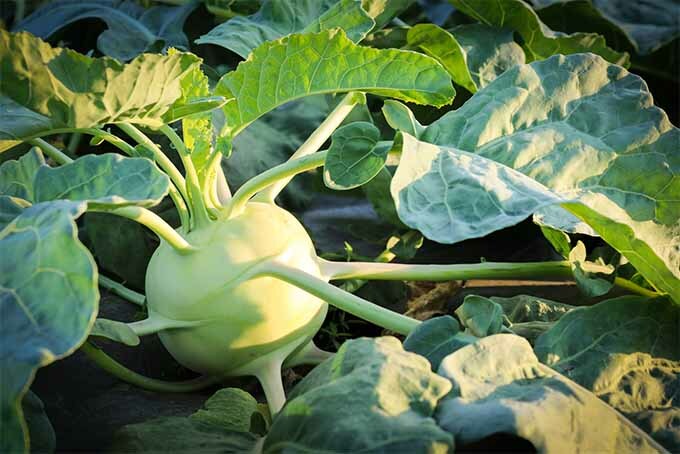 It doesn’t reach its mature size for about four years and some cultivars take even longer. 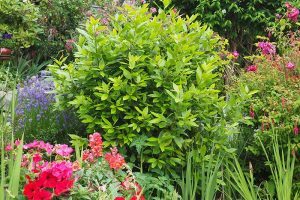 The foliage forms a tidy clump that will only get more attractive as it ages. 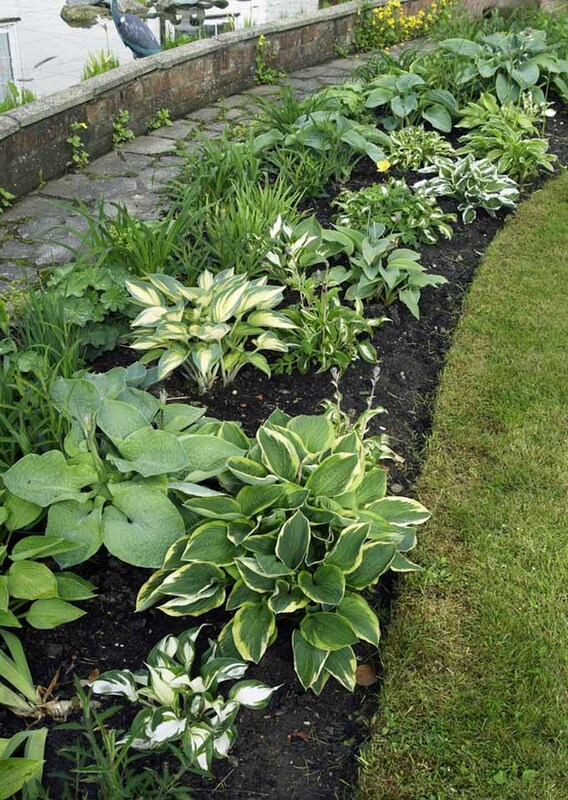 Hostas grow best in soil rich in organic matter which is usually only available naturally to a few gardeners. The rest of us need to amend the soil to at least 12- inches deep with some type of organic material. 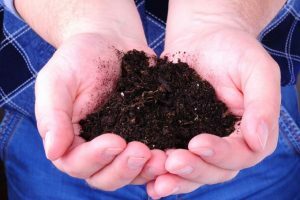 This can be leaf mold, compost, peat moss, bagged cow manure, or any combination of these. A hosta will not thrive without adequate water, especially in the hot south. They will need at least 1-inch of water each week. As most southern gardeners know, this will seldom be achieved with rainfall in the summer. 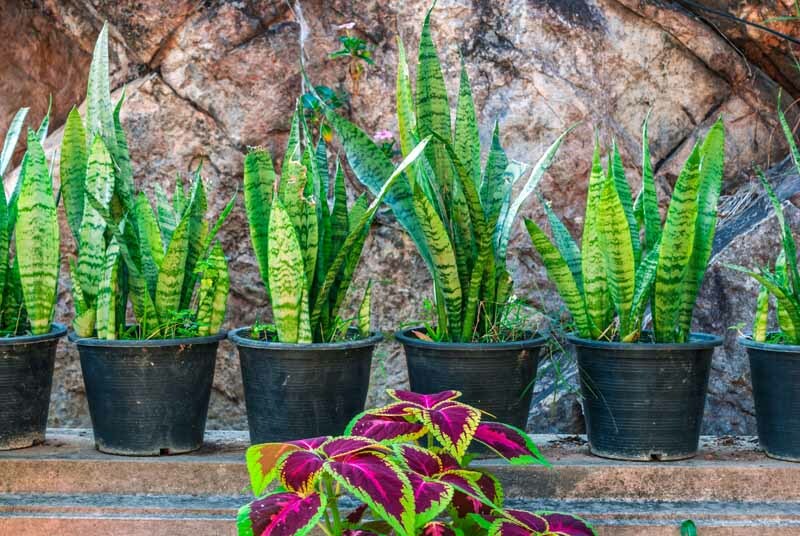 Give the plants a deep watering every week and this will really help prevent burned leaf edges. Hosta can be propogated by division of the perennial since they will not produce the parent plant from seed. This is easiest in the spring when the leaves are just emerging, but can sometimes be difficult on the plant. 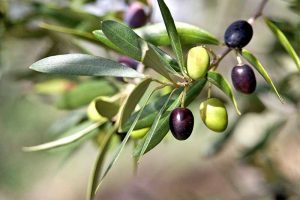 The plant will usually recover quicker if the division is done in late summer and early fall. The divisions must be kept watered thoroughly. 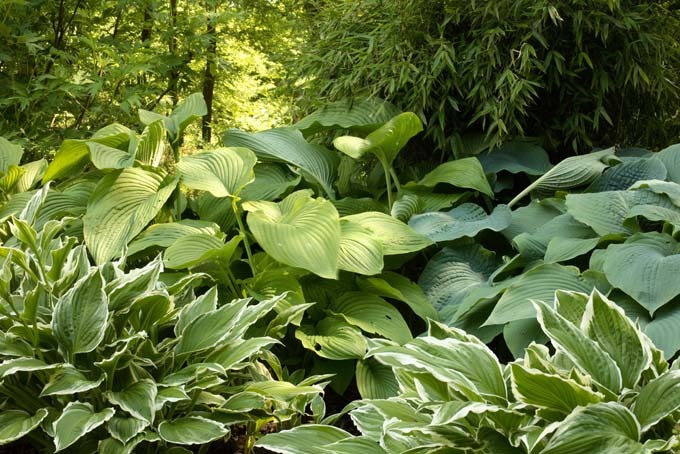 Dividing hostas is rarely done from necessity but is often performed to increase the number in the garden. Only occasionally will an example need to be divided to rejuvenate the plant. If the plant is getting old and has no leaves in the center of the clump, then it may need to be divided. The technique for dividing hosta is the same as for the daylily. Various cultivars can also be purchased by bare-root divisions from mail-order gardening catalogs just as the daylily. 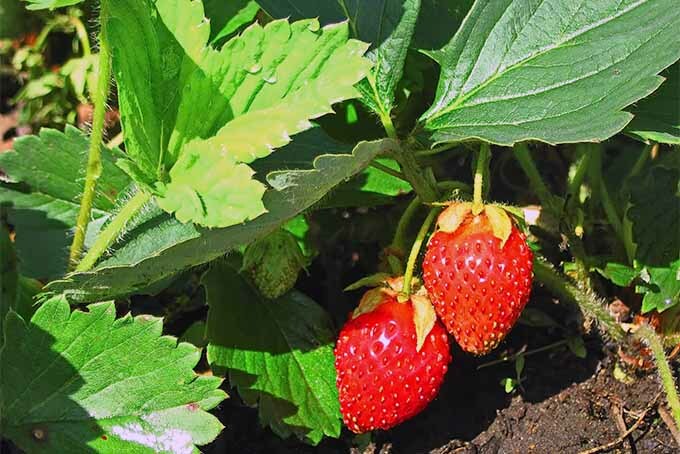 There will be a much better selection of cultivars available from mail-order and bare-root divisions are more affordable than container grown plants. Hosta can be a tasty feast for slugs and snails. 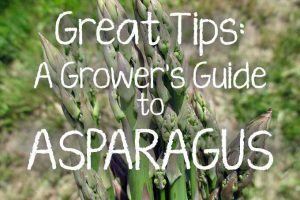 If your beautiful plants are beginning to look like Swiss cheese, then that’s usually the problem. 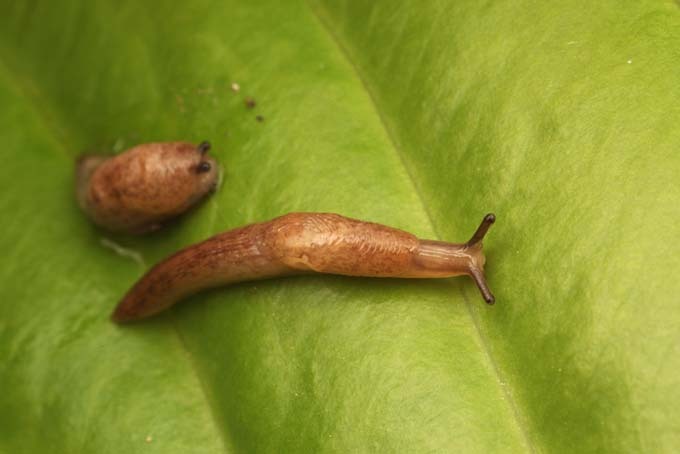 There are chemical baits available to control the slugs and snails, but these are dangerous to wildlife and pets because of the ingredient metaldehyde. 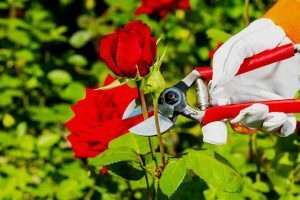 A new product on the market is made from a blend of iron phosphates that attract the slugs and snails but are harmless to birds and animals. There are several nontoxic ways to control the night feeding slugs and snails. Many gardeners are familiar with using beer traps to entice and drown slugs. Place a shallow container filled with beer somewhat buried with the rim at soil level. The slugs are attracted to the beer and they crawl in and drown. Another method is placing wet newspapers on the ground. The slugs and snails will seek refuge under the cool moist paper. The same method works with a board or piece of black plastic. Slugs and snails look for cool moist areas to hide during the day. Just dispose of the snails and slugs found under the paper. Slugs and snails feed at night. This is when you can use a flashlight and find out just how many are living in the garden. A solution of ammonia and water or salt applied directly to the pests will kill them. It’s not the most pleasant chore but sometimes a necessary one. Many gardeners also find success by placing crushed eggshells around the hostas. Slugs have delicate bodies and cannot crawl over any rough or sharp surfaces. There is also a gritty product available to purchase called diatomaceous earth which can be sprinkled on the ground as well. Use caution when applying this product since inhaling it can be irritating. Another product available is copper strips designed for the purpose of keeping snails and slugs from feeding on plants. The copper is thought to produce a small electric charge that repels the snails and slugs. 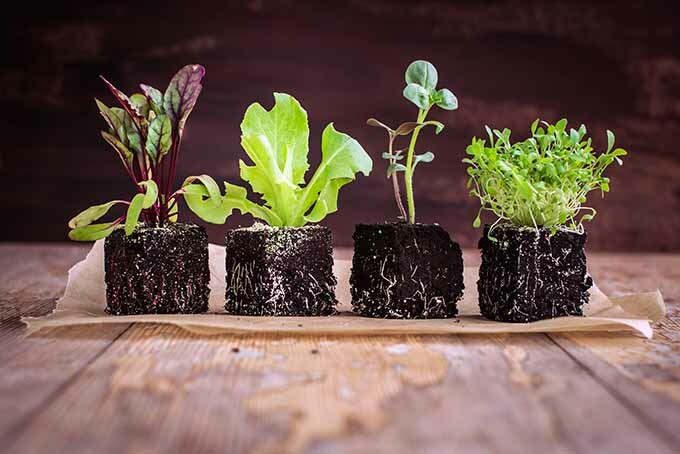 These are available to use as tiny fences on the soil surface and to tape to pots as well. 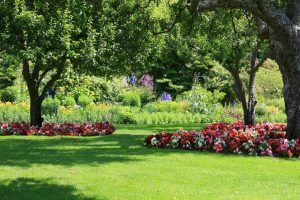 Bare patches or weeds in shady areas? Not as long as we have the option of plantinga selection of the hundreds of varieties of hosta! What about you? 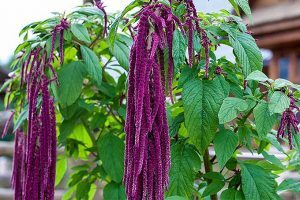 Do you have a favorite location to plant this shady wonder or a special cultivar that you love?